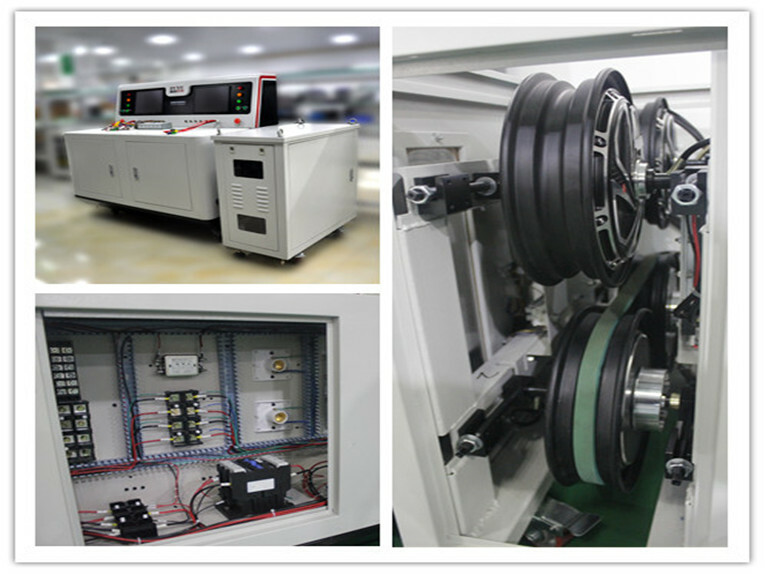 Industrial Equipment - FUYU Technology Co., Ltd.
Technology Co., Ltd. specifically for controller manufacturers. stable in performance, safe and reliable, and easy to maintain. reduce labor and personnel recruitment management costs. It is an essential testing equipment for controller manufacturers. 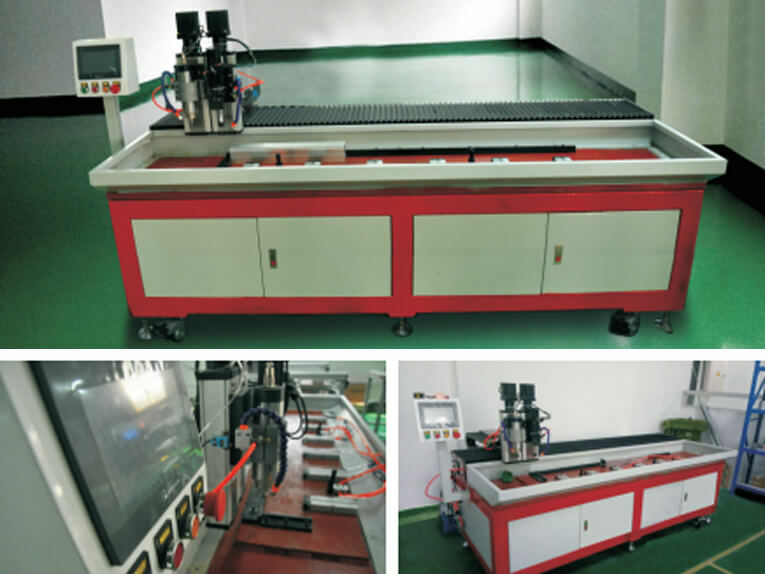 Drilling and tapping machine developed by FUYU technology can realize drilling and tapping aluminum profiles automatically, own 11 patents and 2 patent invention, 7 utility model patents, 2 items appearance patent, ensured small deviation exist each hole of central position of aluminum profiles, so we have strict standard on parallelism requirement between robotic xyz 3-axis verticality and X axis and aluminum fixture,worker tighten aluminum profiles with cyliner after putting them on corresponing loading position manually, one-button start program realized driling and tapping, this device's usage improved consistency of production efficacy and quality obviously. 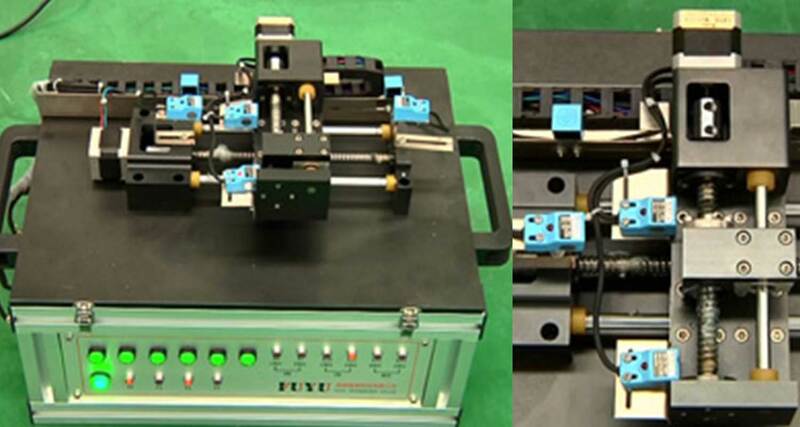 Combining with the self-developed intelligent numerical control system and precise digital measurement system, the five-axis linkage intelligent detection of optical lens defects is realized, and the newly developed automatic alignment and one-key return technology are incorporated, which greatly simplifies the device. 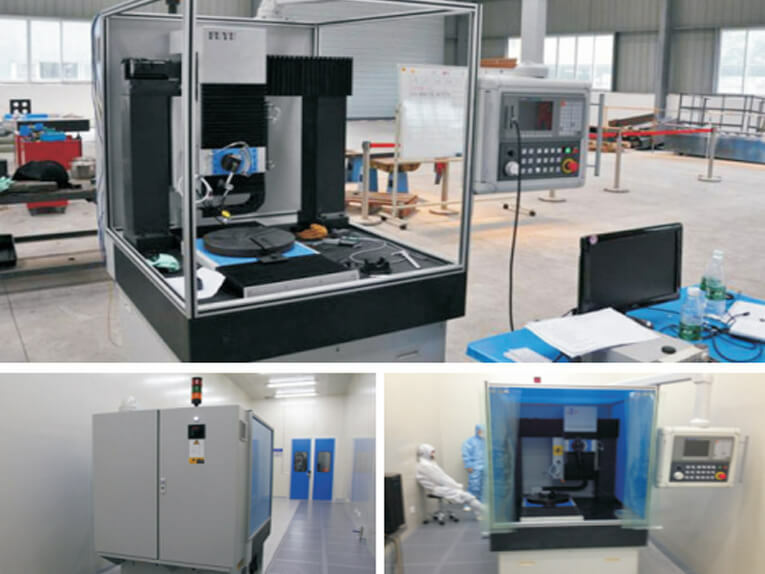 The processing and assembly process of precision structural parts, as well as the operator's operational complexity, various development indicators and accuracy to meet user requirements, the first set of five-axis linkage optical defect detection device has been delivered to users. Selected for the second batch of science and technology projects in Sichuan Province in 2014, No. 2014GZ0197, Name: “Study on High-speed Continuous Intelligent Detection Technology for Surface Defects of Optical Components Based on Aperture Scanning”. 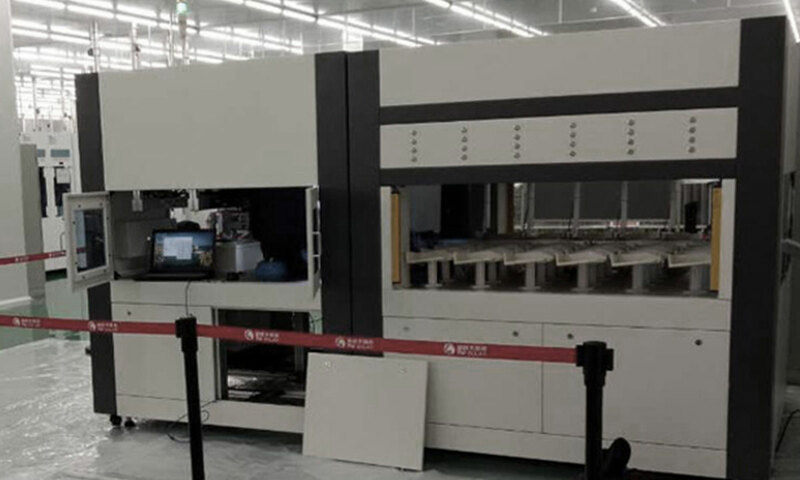 The company adopts high-precision aluminum profiles, linear modules and other structural modules and intelligent control systems independently developed by Fuyu Technology. Beautiful, efficient and practical; 2D CNC tool simulation experiment platform is suitable for teaching experiments and has been mass produced. The self-developed intelligent numerical control system combined with CCD technology and the development and industrialization of the industry process and features of solar wafer color sorting and sorting equipment have formed: «a feeding mechanism for solar wafers», «a solar energy Surface defect inspection device for silicon wafers», «A device for surface defect sorting of solar wafers», «A rotary gas distribution module», «A gripping mechanism for solar wafers», «A solar wafer A variety of invention patents and utility model patents, such as the appearance detection device, «a solar wafer sorting system». Solar color sorting and sorting equipment greatly enhances production efficiency, simplifies production and processing technology, and various development indicators and accuracy meet user requirements. 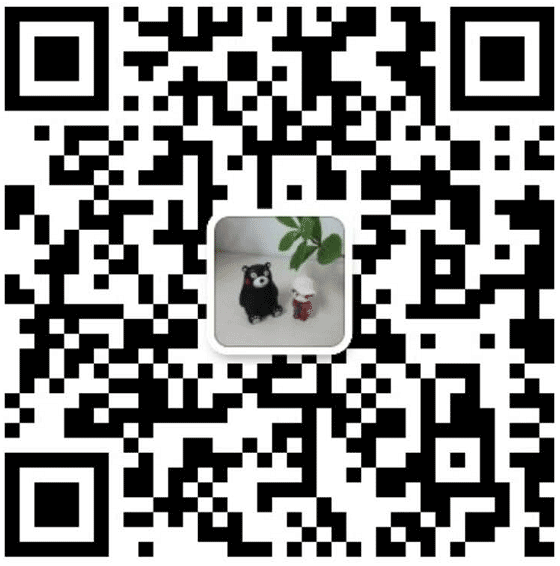 Through continuous optimization and iteration, customers' approval is obtained and bulk purchases are started.